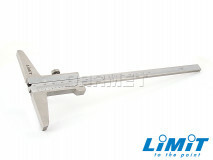 A magnetic base is a device used in metrology and metalworking. 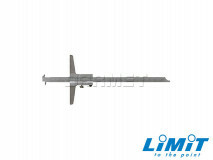 It is most often used to hold the sensor. 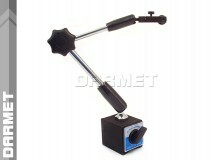 Stand is made of a magnetic base, arm and clamping mechanisms. 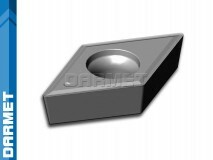 On the magnetic base is an ON / OFF switch that activates or deactivates the magnet. 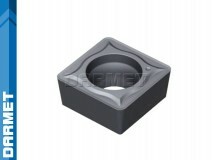 It can therefore be set on any attractive surface in any position, the most convenient for measure. 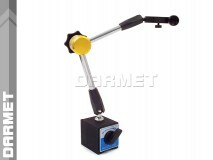 In combination with a flexible arm movement, this gives the operator the ability to freely set the dial gauge. 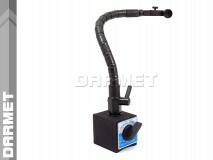 Due to the construction of the arm, articulated and flexible stands are distinguished. 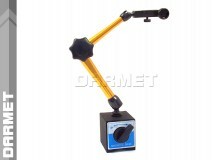 Possibilities of setting both types of magnetic stands are the same, but the advantage of a flexible stand is one clamping mechanism. 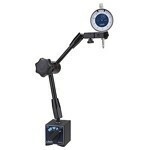 It is easier to use when compared to a traditional stand, where you often lack a third hand to work.